Gloria Steinem is not a fashion show regular. 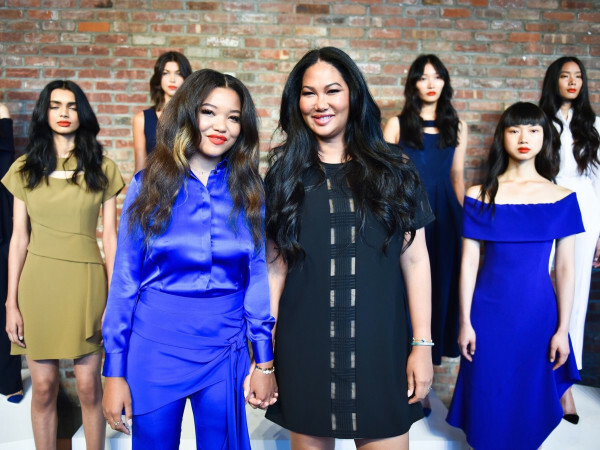 But the women's rights icon was on the front row of the Prabal Gurung runway show, along with longtime Hillary Clinton aide Huma Abedin, Rich Kids of Beverly Hills star E.J. 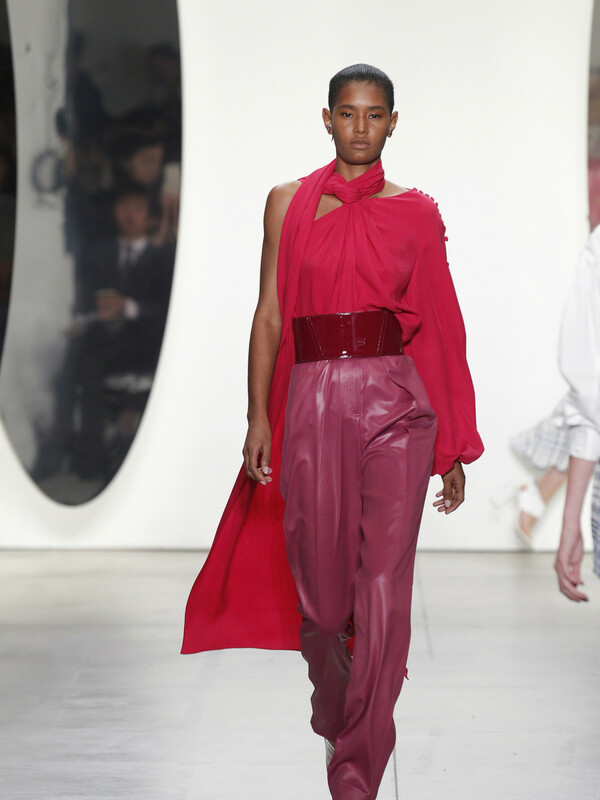 Johnson, and Teen Vogue editor-in-chief Elaine Welteroth, to support the 38-year-old designer at New York Fashion Week. 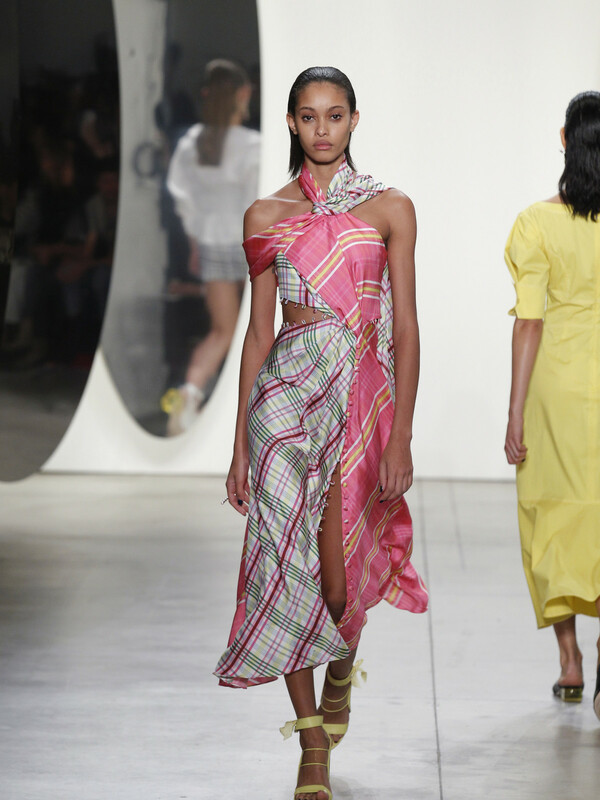 Gurung, who has increasingly championed diversity on the runway and equality for all in his native Nepal, at home in the USA, and around the world, sent out a spring/summer 2018 collection that clearly exudes women power, but also shows he's an optimistic feminist. 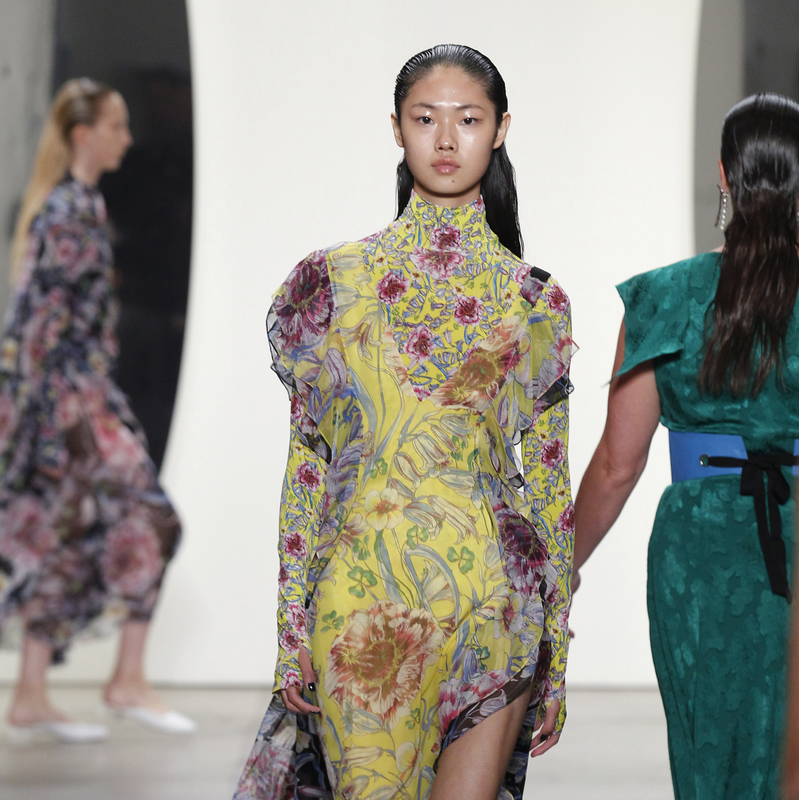 He dubbed the collection "Stronger in Colour," and it was brighter that bright with mixed florals, contrasting plaids, and strong monocromatic shades of cerulean blue, sunshine yellow, cotton candy pink, and emerald green. 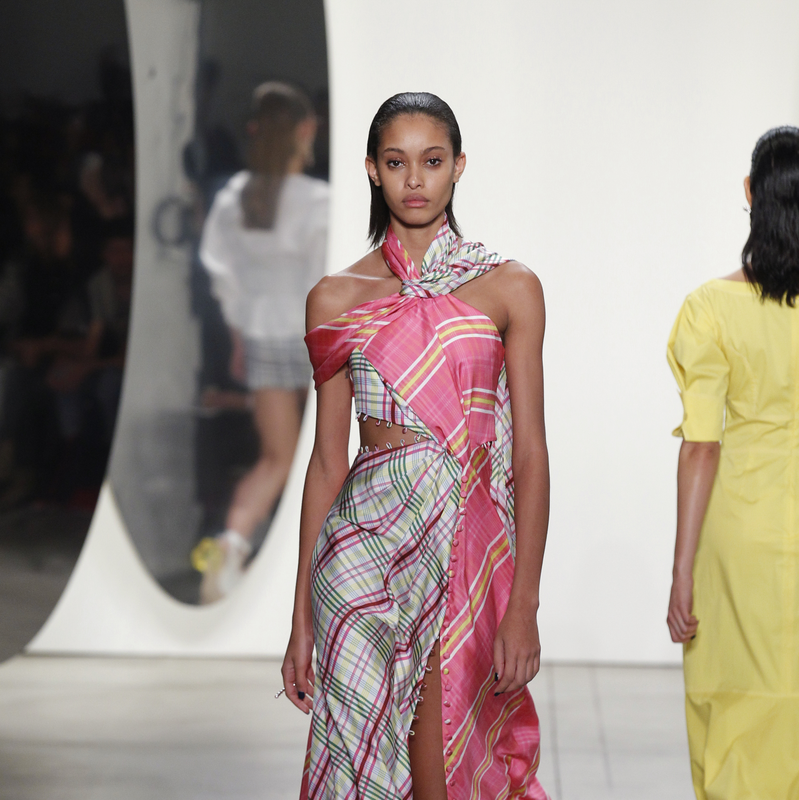 Along with expertly cut blazers, high-waisted shorts, and trench coats, some in a shiny laminated fabric, Gurung specializes in dreamy chiffon day dresses and draped two-tone goddess gowns of twisted fabric. 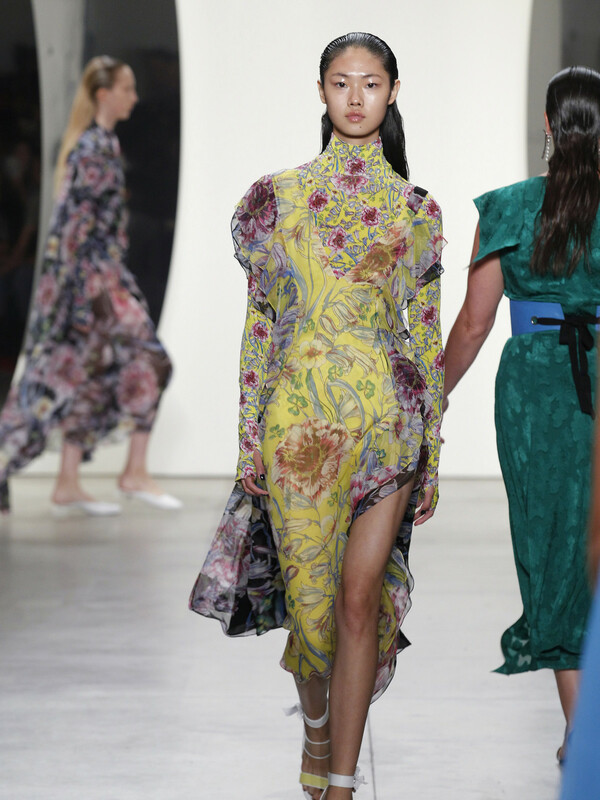 Many of the looks are trimmed in tiny buttons covered in fabric that can be unbuttoned to reveal a hint of skin at the waist or shoulder if the wearer so chooses. And sandals with chunky clear Lucite heels make a statement. 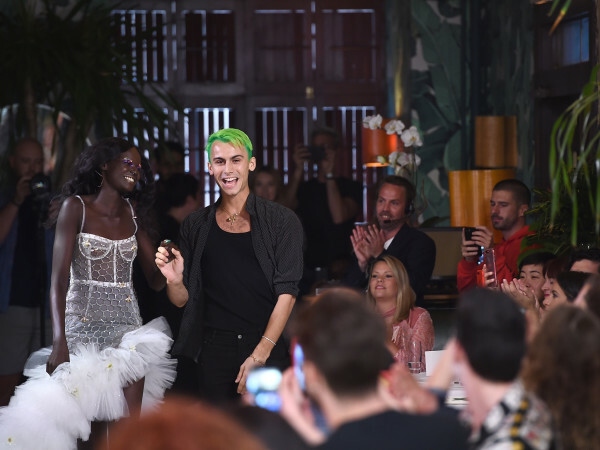 His message: Fashion can be an irresistible way to effect change — a sentiment emblazoned on his T-shirt, which read, "Resist with ❤︎". Of course, the heart was pink. It's a message that carried through a the 69th Annual Emmy Awards where Elisabeth Moss accepted the Best Actress award for her role in The Handmaid's Tale in a pale pink strapless tea-length dress created by Gurung. The word "Off" was scribbled on the bottom of one shoe, a reference to the series based on the acclaimed Margaret Atwood novel, in which handmaids are slaves forced to bear children for powerful families. Among those who Moss thanked were her mother for being "brave and strong and smart." "The Handmaid's Tale tells the story of a woman's strength in a dark world through resistance. Tonight, we wanted Elisabeth's strength as a woman and an actress to shine through embracing her femininity," Gurung told the Hollywood Reporter. 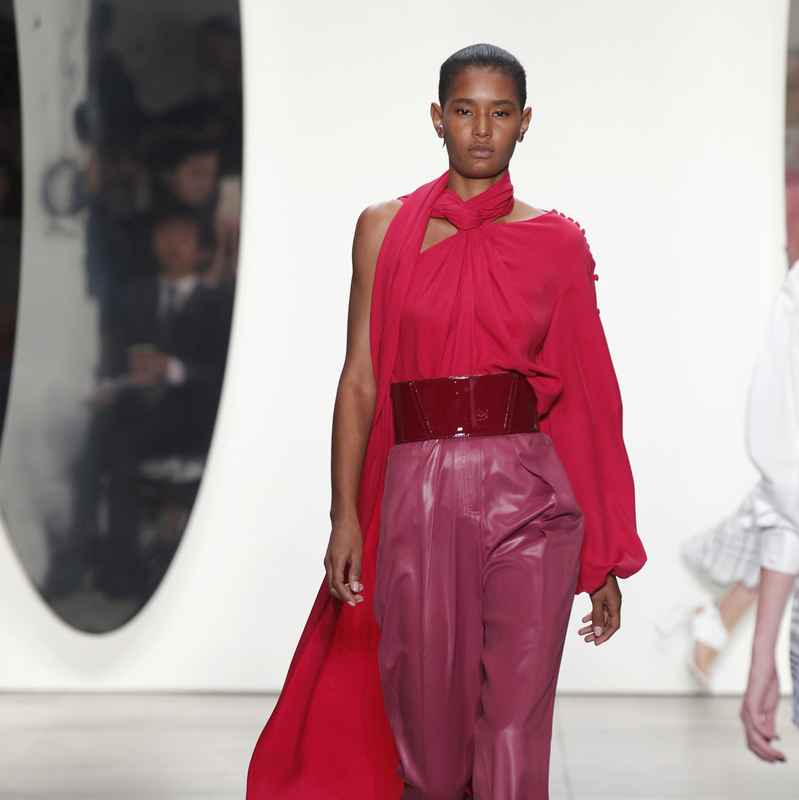 The Prabal Gurung collection is available in Houston at Elizabeth Anthony.